Today is our patronal feast of Our Lady of the Rosary, and there are a number of things for us to consider. 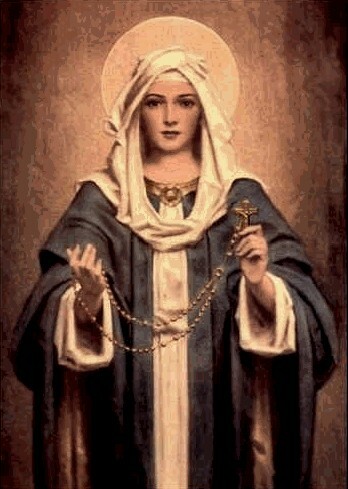 To begin with, there is the necessity of praying the Rosary with regularity. It is not enough just to own a Rosary, keeping it stored safely in a dresser drawer behind the socks. You should keep it where you have easy access to it—perhaps in your pocket or purse, or on your night table. That is one of the advantages of these inexpensive Rosaries we blessed today—you can have one in all of those places. Don't forget that God gave you ten fingers, which also work pretty well for counting out the prayers when the beads are not available. Each one of us must decide on our own schedule for the Rosary. While fifteen decades each day would be ideal, we must be realistic. If you are a busy person, it might make sense to plan to pray five decades each day with attention and devotion, rather than to rush through fifteen with speed, distraction, and inattention. If the Rosary is new to you, you may want to start out slowly. Even a decade a day amounts to seventy‑three five decade Rosaries over the course of the year—that is one for each of the years our Lady is believed to have lived on this earth! And if you are new to the Rosary, you may want to carry a card or leaflet with each of the mysteries written down, along with the days on which they are customarily recited. You would also do well to have recourse to your Bible in order to read the passages that correspond to most of the Mysteries. 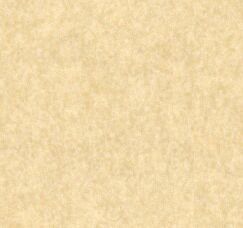 You can find pictures of the Mysteries in books and on the Internet. I say “most” of the Mysteries are described in the Bible, as the last two come to us through Tradition and not Scripture—the Assumption and Coronation of the Virgin Mary. “Not everything that Jesus did is written in the Bible,” so we should not be surprised that not everything concerning the Blessed Virgin would be there either. We do have an early written account of the Assumption, linked on the Parish Website. We should all be aware that this feast day is a memorial to our Lady's intercession on behalf of Christian civilization under attack by the forces of Islam. 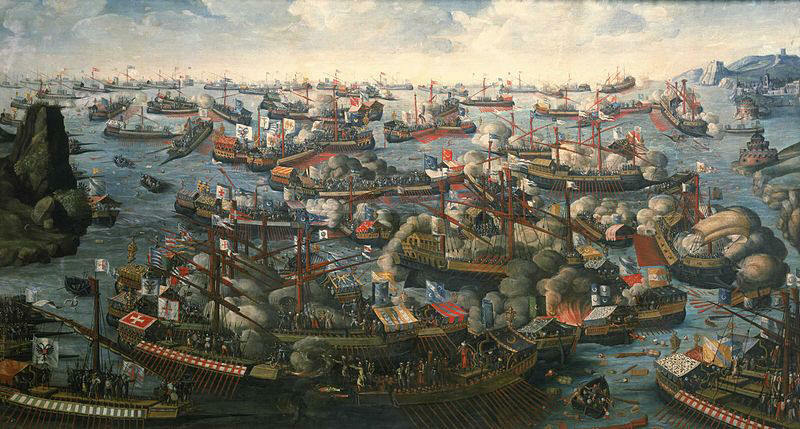 In particular, it celebrates the naval battle at Lepanto in the Gulf of Corinth, on the first Sunday of October 1571, that made the Mediterranean more or less safe for Christian travel and commerce, and reduced the likelihood of being captured and being pressured to give up the true Faith. The military forces were directed by Don Juan of Austria while a spiritual battle (the praying of the Rosary) was marshalled by Pope Saint Pius V. It is said that the Pope became aware of the victory at the time it took place, even though word would not arrive by ship for many days. It should be further noted prayer to our Lady was credited for similar protection and victories in other engagements with Moslem forces. Constantinople in 911AD, and Vienna in 1683, and at Belgrade in 1716. These and other feast days are marked in the Church calendar and should be familiar to all Catholics. Things have not changed much, and we must continue to pray for the defense of Christian civilization against its enemies foreign and domestic. Pray, especially, for presidents and Popes who understand the Moslem threat as did Saint Pius V. Today, we have a 1,400 year long history of dealing with these folks. Please continue to pray the Rosary, or start doing so if you have not been. Pray for your own holiness and for those around you. Pray for the Faithful Departed. Pray for the protection of the Catholic Church and Western Civilization against those who would tear them down.